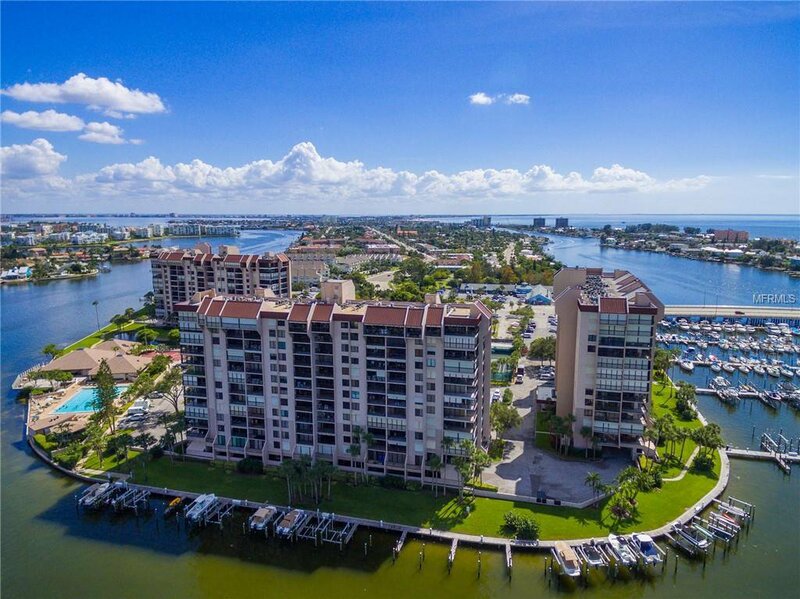 UPDATED WATERFRONT 2/2 CONDO in Yacht & Tennis Club of St Pete Beach. This unit offers newer tile floors throughout, beautifully updated kitchen with granite countertops, a food prep island and stainless steel appliances - all tastefully done in coastal colors. Bathrooms are updated in neutral tones. Master bedroom offers a walk-in closet and adjacent ensuite bath. Laundry closet in the unit. The real story here, though, is the spectacular intracoastal water view, which can be enjoyed from the private balcony, accessible from the living room or master bedroom. This unit is bright, clean and ready for move-in. All this and situated in one of the most sought after communities in the area - close to the beaches, restaurants, shops, night life and public transportation. The amenities are top notch, with a large waterfront heated pool and hot tub, mens and women's saunas, state-of-the art fitness center with water view, a newly renovated clubhouse, 7 Har Tru tennis courts with a tennis pro on staff part time during peak season, shuffleboard and outdoor barbecue area. This really is a must see - just what you have been looking for! Listing courtesy of SOUTH BEACHES REAL ESTATE. Selling Office: KELLER WILLIAMS RLTY SEMINOLE.